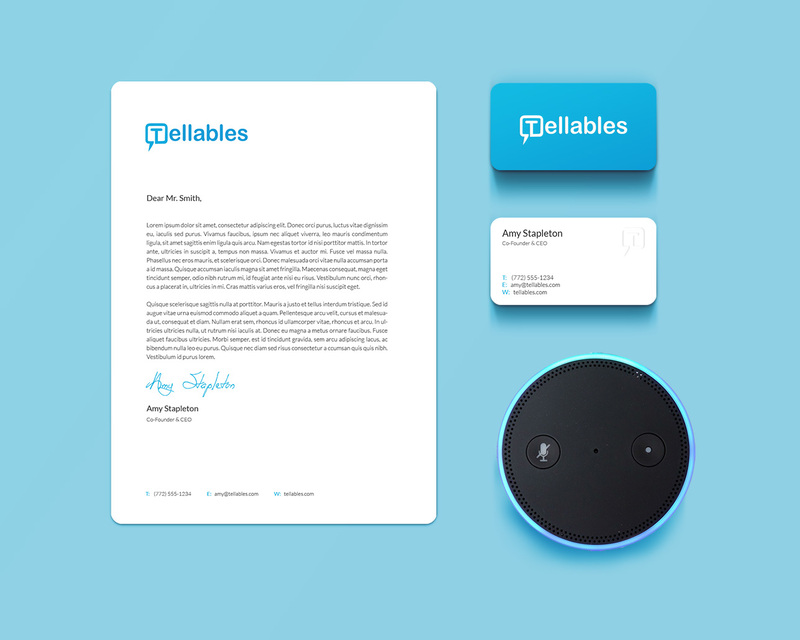 Tellables is a social story sharing community where people share true and imaginary stories, to be utilized by talking devices like Alexa by Amazon. 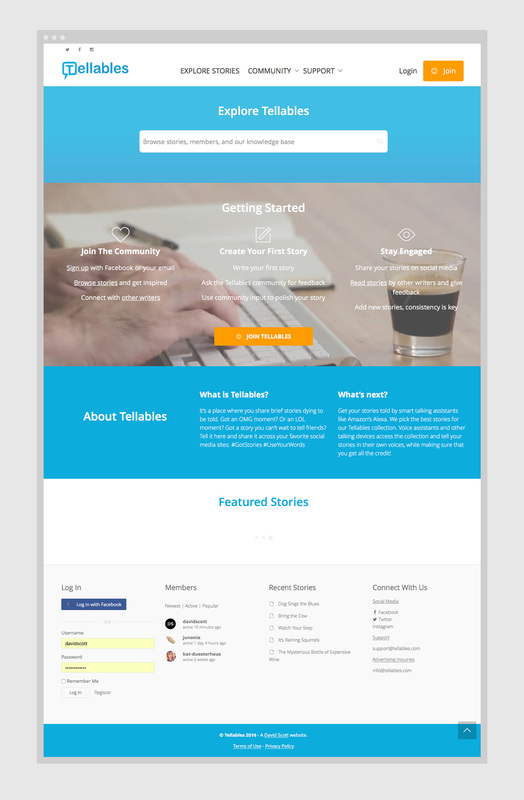 With Tellables users can easily create profiles, share stories, receive feedback, and communicate amongst each other. 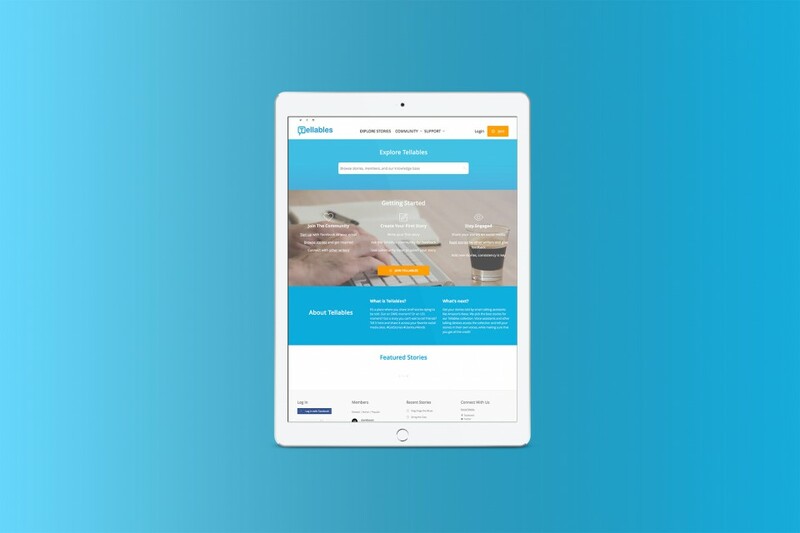 I was retained by Amy Stapleton of Hutch.ai to design the identity and online presence. Kat Duesterhaus of Social Butterfly Agency developed social media strategies and assisted us with the direction of the project. It was a pleasure working with both Amy and Kat and I look forward to working on future projects together.